As graduates head off into the real world, they will have decisions to make concerning their career paths. So for grads and employers who are interested, the following post reveals what LinkedIn says about college recruiting in 2014. Another graduating class has walked across the stage, diplomas now in hand. Next step: the workforce. But what are these recent grads thinking? What about a career opportunity appeals to them most (and least)? What companies to they most want to work for? And where do they go to find work? If you’re wondering how to obtain your first entry level job, the infographic in the following post has some tips for achieving this goal. Searching for Entry Level Jobs on Social Media in 2014? Who are These Social Job Seekers? If you are wondering who are the social job seekers who might be searching for entry level jobs in 2014, learn more about them in the following post. While many soon to be college graduates may not have found jobs for recent college graduates, that doesn’t mean they cannot get some worthwhile experience in the mean time. The following post shares nine ways to advance your career by volunteering. 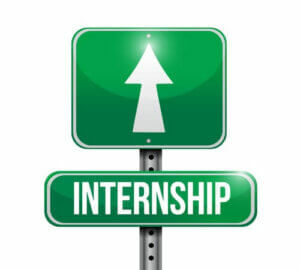 An internship finder can choose to either make the best or worst of his or her experience. Learn four ways to do the latter in the following post. Your internship has the possibility to give you meaningful experiences and important career lessons and connections that change your life entirely. Sounds like too much work to us! Just go through the motions and follow our guide to gaining absolutely nothing from your internship and, in no time at all, your boss will be saying, “We have an intern? College graduates preparing to interview for entry level jobs should prepare for these seven challenging questions in the following post. So, you haven’t received any response when emailing your resume to apply for an entry level job. The following post has four reasons why your resume may not be getting one.